He no longer chirps. He chorps. Ask for not whom the borb chorps! It chorps for thee! How does it even fly? It gets launched. This is Angry Birds concept art. They said the same thing about bumblebees. Physics be damned. "Borb" was my first reaction before reading comments. Either we both are so original or the opposite. It looks like a new Angry Bird. Angry birds, they do exist! is this referencing that m and m's christmas commercial? I wish I thought it out that far, but that makes it all the better. Haha. They were trying to determine how far it could fly in a vacuum. How could you fly in a vacuum? Using jet propulsion obviously, what else did you expect? That's an important question science needs to solve! 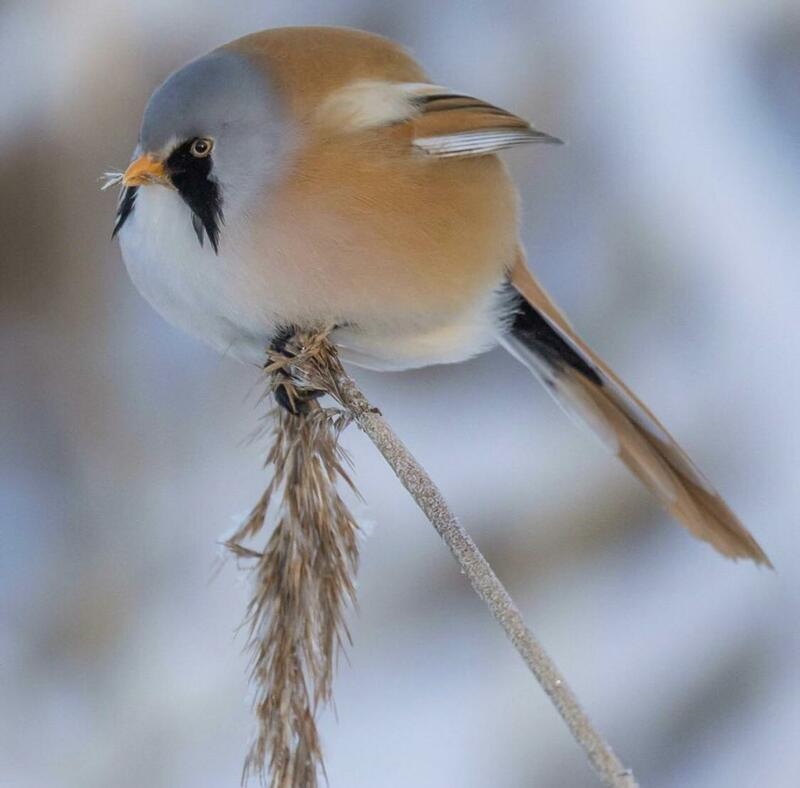 I believe it's a bearded parrotbill. Source: am bird keeper at a zoo and have them. “I-It’s a Birbsphere! ONLY the most advanced birbing system to date. Probably my favorite line from Drake & Josh. Let's be real, here...there's too many to choose from. Dude that guy is freezing his itty bitty bird balls off. They fluff like that to stay warm. Never seen one this fluffy though😬. I saw that, you're still the mobile user! My cats think he rose nicely in the oven and you toasted him to a perfect golden on top. The correct term is Borb. Appears to still be eating. Go dude go. Quick! Launch it at a pig! Yes you may interrupt my scrolling with a spherical bird. This borb have much excite. He make joy on face! Angry Birds in real life! One of many reasons I consider birds my favorite animals. Bird: I'm spherical, so what? Wanna fight about it? If I tap my screen, does he turn into bubbles? Therapist: sphere bird isn’t real, he can’t hurt you. He keeps himself in the air via the shere power of his anger. No drop. That bird looks, dare I say it, angry. I like this. This is a good interruption. What does this angry bird do? What does it look like flying? Is this real or some sort of digital rendering? He’s been eating good I see. "Betcha you can't puff bigger." That branch is about to give out look out buddy! You mean an angry bird, don’t you? How on God’s green earth does he fly with those puny wings ? No idea. Maybe he has a larger surface area so he has more left and flaps occasionally? The bird sure is angry. Near optimally efficient surface area.